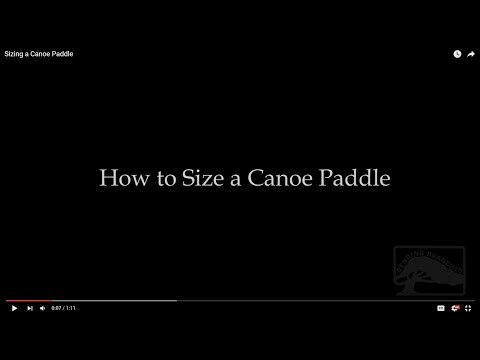 The Bending Branches Loon Canoe Paddle is a great lightweight entry-level canoe paddle that is ideal for recreational paddling. The five laminate blade is built with beautiful basswood and maple. The Bending Branches Loon Canoe Paddle is available in a 54in. and 57 in. version. Available in 54 in. or 57 in. Absolutely Outstanding product and customer Service. I will buy their products again ! we were astounded with how lightweight and comfortable these paddles are. Perfect for our flat water adventures and very reasonably priced. Thanks ACK. I love this paddle! I've never had a nice paddle before, so the only thing that I can compare to are the big heavy plastic paddles that are common at big box stores. The Loon is MUCH lighter and feels MUCH better than any other paddle that I've used. My bow paddle was getting beat up so I decided to replace it with the same model I use in the stern. Did some searching and found ACK to have a very good price and free shipping. Delivery was prompt. For the money, it is a great paddle. Great product, good price and fast shipping. As advertised. Light weight and comfortable. These were worth much more than we paid. We are very pleased with them and would not hesitate to tell others where they were purchased. Keep up the good work! These paddles are well made and beautiful. We really were impressed with them. Thanks for making such great paddles! SMOOTH, light-weight, easy to hold, and arrived in just a couple days. Well worth the money. Quality rec-level paddle, for the price. We especially like the durability, dimensions, and shaft/paddle balance.